Sure, kids love Disney World, but adults can love it too. And if adults are going to visit Orlando to say hello to Mickey, they need some great rides and attractions to experience. 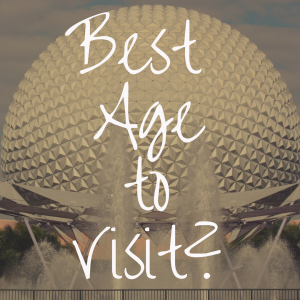 And so, in this article, I’m going to provide you with what I believe are 15 of the best Disney World attractions for adults. These aren’t necessarily the best of the best, as that’s all a matter of opinion. 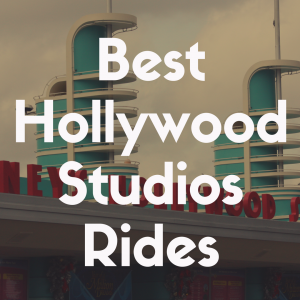 But these are rides that adults of all ages can experience and really are ones not to be missed. 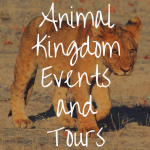 Let’s begin in Disney’s Animal Kingdom with the Kilimanjaro Safaris. I’m not certain about this, but I think traveling to Africa and taking an actual wildlife safari would be more expensive than a trip to Disney. Certainly more dangerous. So, instead of getting lots of vaccines and learning how to safely camp in the savannah, book some tickets to Animal Kingdom. I won’t pretend that Animal Kingdom is my favorite of the parks, but there are a couple of bright spots, and this is one of them. Riding on an all-terrain vehicle, you and the other passengers move through water, over rocky land, rickety bridges, and past some of the most incredible (and extremely CLOSE) animals on earth. Proud lions sunning and sleeping on rocks, elephants playing in the dirt and mud, and majestic giraffes are only a taste of the wildlife you encounter on this ride. And this isn’t the Jungle River Cruise, where everything is animatronic – these are the real deal. Disney assures guests there are “hidden barriers” keeping everyone safe, and I have no reason to doubt that, but that feeling is one of a real-life safari, where a lion could leap at you at any moment, or a rhinoceros could charge the vehicle whenever it pleases. While there are no height restrictions, and this ride is certainly suitable for children, adults will be just as thrilled and entertained by this ride as the little ones. Definitely give this a shot if you’re at Animal Kingdom. This is, truly, one of the most “adulty” rides at Walt Disney World, mostly because kids under the age of, I don’t know, eight or so, will find it a bit boring, as it acts more as a history lesson than a show or ride. 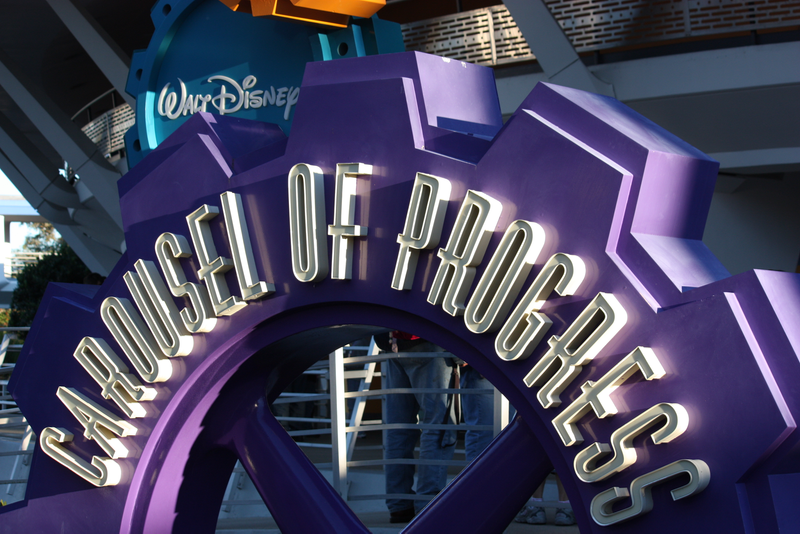 Adults, however, will find it interesting to watch the progression of industry and technology during the twentieth-century, brought to life through Disney’s state-of-the-art animatronics. The other part of the ride that most adults will find interesting is that this ride was originally designed by Walt Disney himself, debuting in 1964. It has been updated and refurbished over the years, especially as technology has advanced into the twenty-first century, but the core of the ride remains the same, and a large number of the original designs and set dressings are still in play. Plus, the song is catchy (but a good catchy, not a bad “It’s-a-Small- World” catchy). Gina Torres introduces this ride, which has to count for something, right? So, the height restriction (42”) not withstanding, the ride can be very intense. It uses actual space-training technology to transport you on a journey in which you leave the earth’s atmosphere, travel to Mars, and semi-crash on the planet (it’s more of a gentle oops than a full-blown crash). The real treat is the enormous g-force pressure that shoves you into the seat as the rocket blasts off, and then the almost immediate feeling of weightlessness that they somehow achieve once you break through the atmosphere and enter space. Using a 3D screen and some intense motion-simulators, this ride is incredible. Now, for those who do wish for a less-intense ride, you can choose the “Green Mission,” which has no G-Forces, some slight motion simulation, and – as of recently – a completely different mission. Even for that one, however, the height restriction remains. I would endure most of the world’s scariest clowns to see this show (except for Pennywise; nothing is worth enduring him). If you’ve never had the opportunity to see this, please do. Tickets are . . . pricey (ranging from $150 – $500 a person), but saving up for it is worth it. Or you could say “yes” when someone invites to buy you tickets, which is how we saw it. The work that these athletes do is nothing short of astonishing – the trampoline sequence was particularly and peculiarly enchanting. And the clowns weren’t actually that bad (probably because none of them were in a sewage drain). Anything introduced by Patrick Warburton can only be but so bad, right? This great ride has undergone a bit of a revamp over the past few years, but it’s just as thrilling as ever. The core of the ride is a high-flying, multi-sense experience. For example, in the old version, as you soar over a grove of orange trees, the scent of oranges that fills the auditorium is unmistakable. The IMAX screen, and the fact that it extends above you and below you, is the reason why so many passengers instinctively duck when the film swoops over a golf course, as a golf ball heads right for your face. The new film does not contain these elements, of course, but I find it difficult to believe that swooping down over the Great Wall of China, or smelling the grassy savannah of Africa is any less impressive. Whether the new film is as good, better, or worse is a hotly-debated topic on the Internet, but riding Soarin’ is worth it, even if only to experience the concept. Originally opened in 1979, this train-style roller coaster has endured the test of time. The scenery is great, the ride itself is exciting, and I can think of few rides better than thundering down this mountain. Well, actually, I can think of nine better rides, but, well, you know what I mean. This ride used to be higher on my list. In fact, there was a time in my life when I would have considered this in the top 5. Now, please don’t get mad at me, those of you who are die-hard Johnny Deep fans, because, believe me, I think he’s great in the movies. No character introduction is better than Sparrow’s first on-screen appearance in The Curse of the Black Pearl. Unfortunately, Disney has taken what was a perfectly great ride and inserted animatronic Sparrows pretty much wherever they pleased. And one could argue that they’ve overdone it. 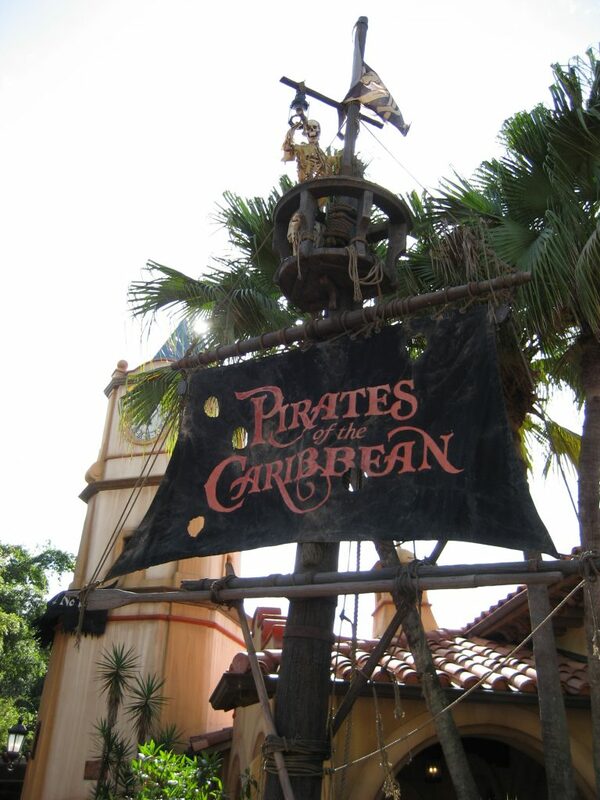 You can read our full review of the Pirates of the Caribbean ride here! People who don’t like the classic Muppets are un-American (or, un-whatever-nation-you-happen-to-be-from). Possibly not even human. Okay, let me pull back here. Went overboard there. My apologies. Like most shows at Disney, this attraction isn’t a movie, but an experience; I am convinced that the artists and designers who worked on this film would be excellent illusionists, because they have perfected the art of misdirection. The finale of the film leaves the entire auditorium completely and totally different than when you first enter it, and few people ever notice the transformation, because they are so transfixed (read: distracted) by the engineering sleight-of-hand that is the trademark of Disney. I won’t give anything else away (sorry), so you’ll just have to see it for yourself. This utilizes a similar technology to Turtle Talk with Crush (see #3, below), but instead of learning about sea turtles and other ocean life, you get to take part in a stand-up comedy contest with employees of Monsters, Inc. Yes, they animate the contestants, and, yes, it looks like they are standing on stage. Truly, it’s almost like a hologram. Oh, and Roz has a huge part, so there’s that going for it, too. Even today, some fifty years after The Haunted Mansion first opened, the tricks and technology that make this ride so memorable still work. It’s spooky, so your kid may not like it, but you probably will. In fact, I can almost guarantee that after riding this, you’ll probably look up videos on how they accomplished some of their magic. If you’re a roller coaster fan, this is one roller coaster that only gets better the more you ride it. As the first indoor roller coaster to ever be built, Space Mountain still looks good for a 42-year-old amusement park ride. 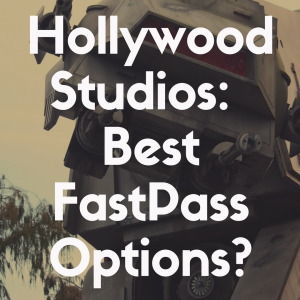 The atmosphere is great (space-themed, just in case you hadn’t put that together yet), and the ride is exciting as the track dips and turns in almost utter darkness, creating a heightened sense of anticipation. 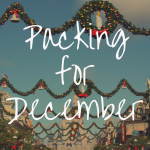 You can read our review of Space Mountain right here! It’s a 3D interactive ride that pits you in a race with your riding partner as you attempt to win a shooting-gallery-style challenge. 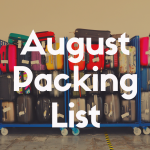 There’s a reason the average wait time is an hour. Plus the queue area is so doggone clever. If you haven’t ridden this ride before, take the wait time – Mr. Potato Head makes it worth it – just make sure you have a FastPass for your second ride. What could be more totally wicked than chatting it up with Crush? While the attraction is geared towards kids (they’re asked to sit in front so they can converse with Crush), everyone’s favorite sea turtle also spends time chatting with parents as they discuss the joys (and frustrations) of raising little turtles. It’s educational and highly entertaining, so don’t skip this one. You can sleep through Peter Pan’s Flight – Turtle Talk is totally worth staying awake for, folks. You can enjoy our review of Turtle Talk with Crush right here! Hands down, the best roller coaster I have ever been on, Expedition Everest takes you on a journey through mountains, along precipices, and brings you face to face with an angry Yeti. A very, angry Yeti, in fact. Well, sort of. It turns out there’s been a problem with the Yeti, from an engineering standpoint, and the fearsome animatronic beast no longer moves, but is, instead, intermittently lit by a strobe light. However, having said that, the coaster itself is still very remarkable, and my second-favorite ride at Walt Disney World. Plus, the queue is a literal Ode to Nepal. You can read our review of the Expedition Everest ride here! Wow, did I just cheat the system here? Sorry about that—but it’s hard t break this tie. First, let’s begin with the Tower of Terror. They say that the new Guardians of the Galaxy version at Disneyland is pretty cool (a Guardians ride recently replaced Disneyland’s Tower of Terror). Luckily, the Tower of Terror is a ride that’s still alive and kicking at Disney World. An interesting story, a realistic and highly-detailed atmosphere, and one seriously awesome ride experience make this one of the best rides in all of the parks—well, if you can stomach being dropped in an elevator! 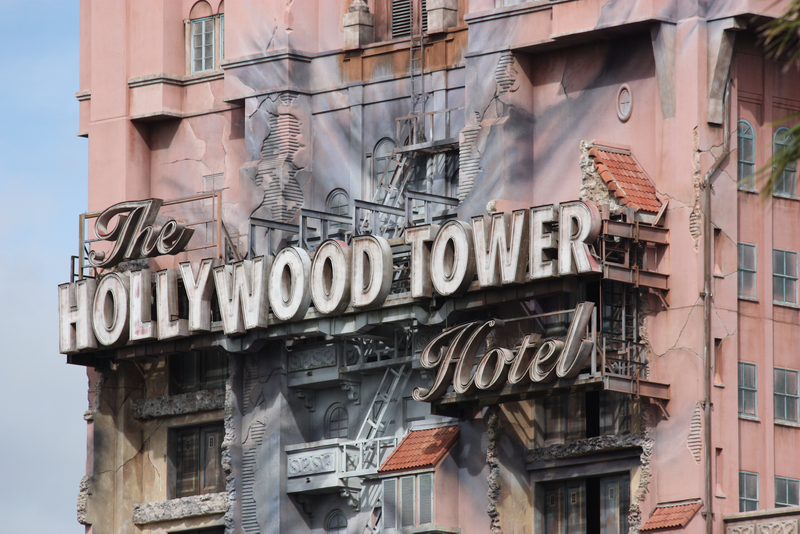 You can read our review of the Tower of Terror here! And then there’s Splash Mountain, a ride that’s based on characters and songs from the 1946 Disney film Song of the South. Inside, the ride can be a bit dark and features animatronic bunnies and bears, but it’s when you emerge outside at the top of the summit—and specifically, when you plunge down fifty feet—that is truly the highlight of this attraction. If you can brave this attraction as well, make sure you consider purchasing a photo of yourself on the ride. The photo is taken juuuuuuust before you plunge fifty feet. So try not to look TOO scared! So there you have it. These are my fifteen favorite attractions at Walt Disney World, as seen from the eyes of a grown-up that still hasn’t outgrown Disney World. 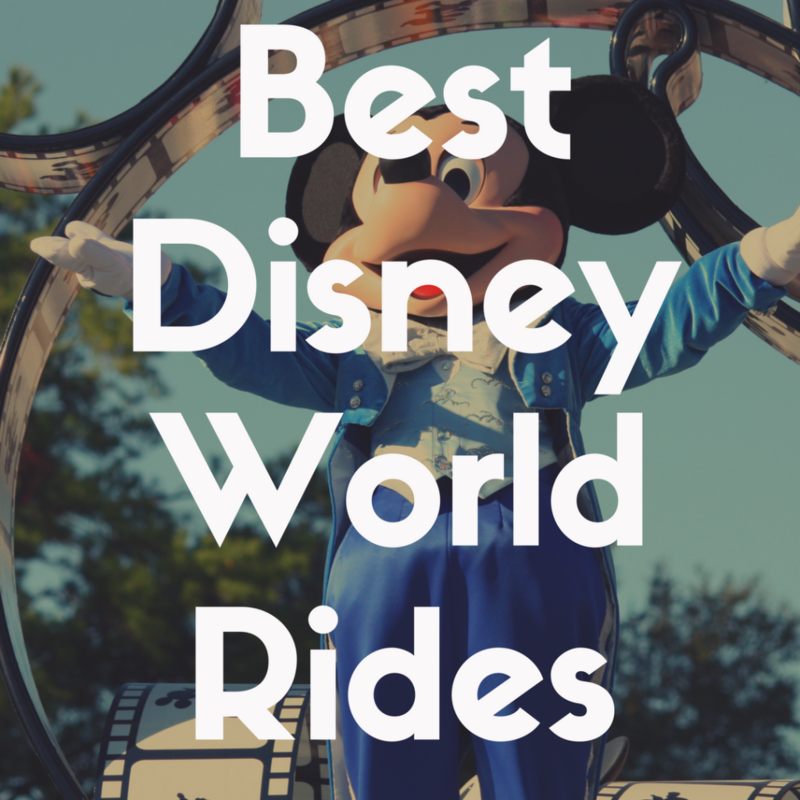 While children can certainly go on most of these rides (provided they meet height restrictions), these attractions are particularly appealing to adults…and way better than listening to “It’s a Small World” play over and over.